A solution for a key client in the global logistics market, providing seamless international transportation solutions under one umbrella. The customized BI solution using Pentaho community stack supports their global export services, providing a local logistic view with a global vision. Since it is a rapidly growing global logistics agency, it is receiving the prime point of concern is that each member is capturing the transactions data in various data sources, individually, which needs to be integrated seamlessly in a single form. 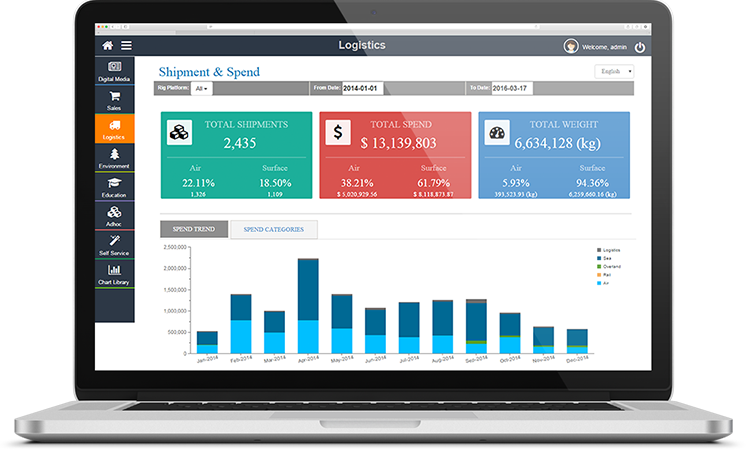 This solution streamlines a large amount of data from various shipping industry members captured in a variety of data sources to measure the critical KPIs of the members & define the steps to improve productivity. Deploys complex ETL jobs & transformation to integrate the various data sources into a single enterprise data warehouse. Generates Key Analytics to provide critical insights to achieve business goals.